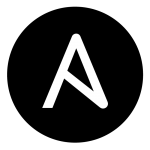 I started working on the Ansible CIS playbook for CentOS and RHEL 6 back in 2014 and I’ve made a few changes to increase quality and make it easier to use. First off, the role itself is no longer a submodule. You can now just clone the repository and get rolling. This should reduce the time it takes to get started. The testing process usually takes under five minutes.